Home Precision Medicine Research Tongue Key to Early Pancreatic Cancer Diagnosis? Scientists in China report that differences in the abundance of various types of bacteria living on the tongue can distinguish patients with early pancreatic cancer from healthy individuals. 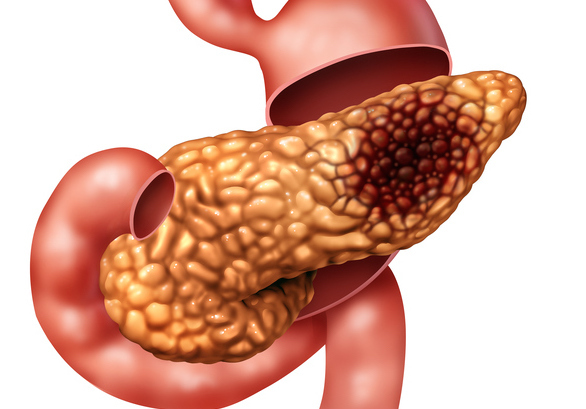 The researchers, headed by a team at Zhejiang University, say that their findings could feasibly help direct the development of diagnostic tests for pancreatic cancer or even hint at new approaches to preventing the disease. Pancreatic cancer (PC) is the seventh highest cause of death from cancer globally, the authors wrote. “The symptoms of PC do not usually appear in the early stages of the disease and therefore most patients already have advanced stage disease by the time they seek medical help.” Consequently, while nearly 10,000 people in the U.K. are diagnosed with the disease every year, the 10-year survival rate remains at less than 1%. Early diagnosis would improve the likelihood of treatment success and potentially boost pancreatic cancer survival, but while many potential biomarkers in the blood and tumor tissue have been reported, “only early detection biomarkers have clinical value in terms of PC prevention and the identification of high-risk groups,” the team added. The team’s previous work had demonstrated that the tongue coating microbiota is unique in comparison with other human body microbiomes. Their prior studies had also indicated that the tongue microbiome harbored two bacterial genera, Oribacterium and Fusobacterium, which could distinguish liver cancer (LC) patients from healthy individuals. For the new pancreatic cancer studies, the team used a sophisticated bacterial DNA sequencing technology to analyze and compare the tongue coating microbiomes of 30 patients with early-stage pancreatic head carcinoma (PHC)—a pancreatic adenocarcinoma that occurs in the head of the pancreas—and 25 healthy controls. “To the best of our knowledge, this is the first study characterizing the PHC tongue coat microbiota both in composition and diversity,” they stated. All of the patients were between 45–65 years of age, had no other known health problems, and had not taken any drugs, including antibiotics, for at least three months prior to the study. The authors reason that the immune system may represent a link between the changes in microbiome associated with pancreatic cancer. For example, pancreatic disease may be associated with immune responses that impact on the growth of particular bacteria, or vice versa. “Because specific bacteria are associated with immunity, we propose that such microbiota dysbiosis may provide substrates that can stimulate or influence inflammatory processes in the pancreas,” they wrote. If a key role for the microbiome can be confirmed, it may pave the way to the development of treatment strategies that harness antibiotics or immunotherapeutics, or even potentially probiotics that can help reduce the risk of pancreatic cancer in high-risk individuals.